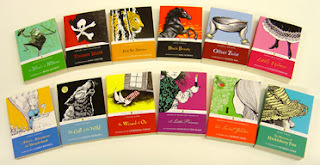 The Compulsive Reader: Shelf Discovery: Puffin Classics Get a Delightful New Look! 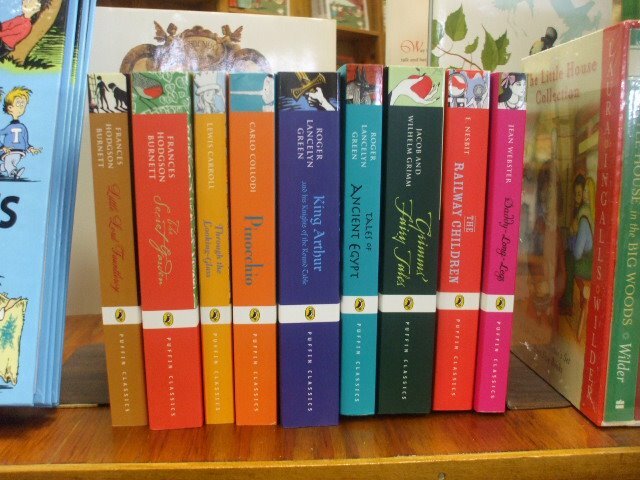 Shelf Discovery: Puffin Classics Get a Delightful New Look! I have found what are arguably the most adorable books I have ever seen in my life. The Penguin Puffin children's classics. There are so many things I love about these editions. The covers, first of all, are adorable and bright and vivid and just SO MUCH FUN. Whoever the artist is...he/she rocks. 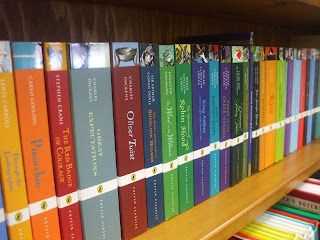 I also love that these books are introduced by popular kids'/YA authors, like Rick Riordan, Christopher Paolini, Louise Rennison, Cornelia Funke, Garth Nix, Jennifer Donnelly, Eoin Colfer, Eva Ibbotson, and SO MANY MORE! 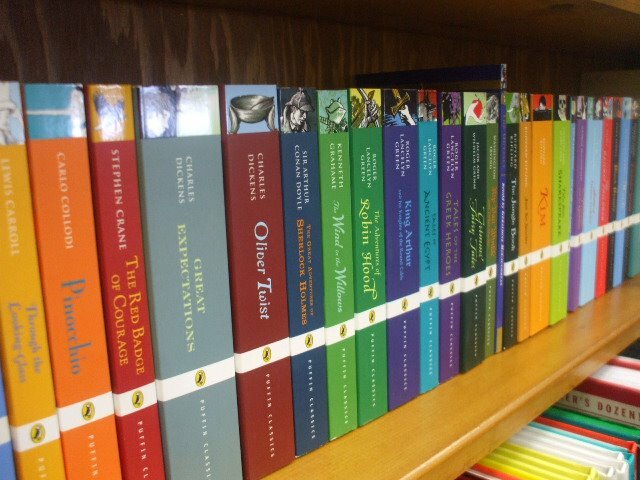 Also...these books are unabridged, and they're only $4.99! I didn't really have much to do with the sudden influx of these lovely Puffin classics (I swear), but I am LOVING it! I have my little list (I mean, long...the paper on which it's written on is little) of books I must buy, and thankfully they are all only $4.99, so that means I can build my library easily! At the top of my list are: The Princess and the Goblin, Daddy Long-legs, Little Women (introduction by Louise Rennison! I can only imagine the epic awesome-ness! ), and Alice in Wonderland! What are some of your favorite children's classics? And what do you think of the Puffin covers? These are very cute. I may have to get a couple myself if I come across them. The colorfulness of the new covers is definitely more attractive for kids than the previous covers. What I like about Puffin classics is that they always come at good prices. Daddy-Long-Legs is definitely my all-time favourite. It doesn't get old no matter how many times I read it. I have heard of sort of a sequel to it (Dear Enemy), but was told that it isn't as-what's the word-"amazing" as the first, so I was tentative to read it... Well, amazing covers, though! It's hard not to judge a book by its cover no matter what they say. Eeep. I actually came across the Wind in the Willows edition when I borrowed it via the library for school. It was adorable, though I wish it had illustrations. Penguin has done such a great job reformatting their books (adult and YA) to appeal to a more modern purchaser. Great move on their part.